I’ve shared with you my experience looking into the future of women and leadership while in Brussels for the International Leadership Association’s Global Conference in my blog on the Transatlantic Dialogue. The very next day, October 12, 2017, I spent seeped in a women and leadership story that started in the 13th century. I participated in a tour, led by an actress assuming the role of a beguine, of and later more academic discussion about the Leuven Grand Beguinage. I expect most of you are unfamiliar, as I was, with the story of beguines and beguinages. Beguines were religious women who lived in special, walled communities called beguinages from the 13th century until the well into the 20th century. 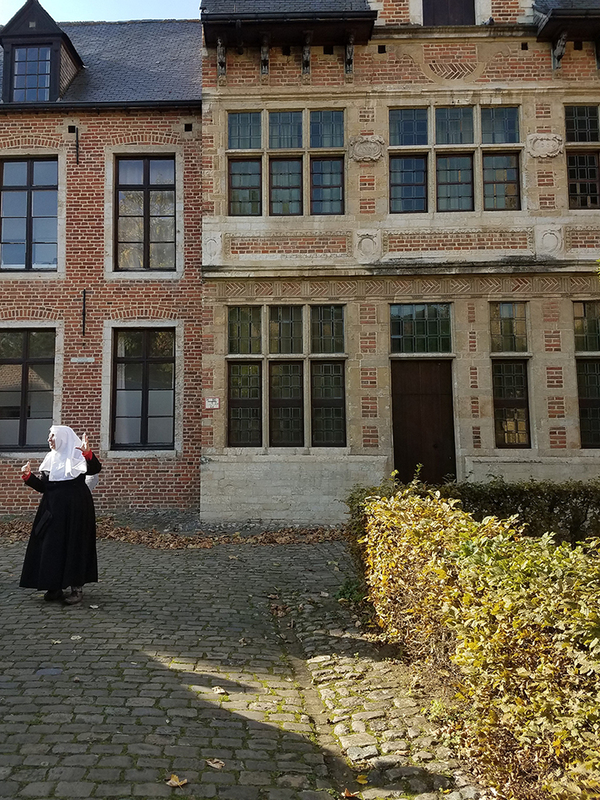 Although the women wore habits and made vows, these women were not nuns; they did not take vows of poverty, and they were able to leave the beguinage at any time (it appears this most commonly occurred if they met a man they wanted to marry). Beguinages did not have a single founder and seem to have emerged when there was a shortage of men following the crusades; although they were also a means for escaping the threat of a planned marriage. The women living in these beguinages owned their own homes or lived in dormitory-like facilities and worked, or didn’t work, based on their financial positions. They managed extensive horse farms, wineries, a hospital, and gardens, provided assistance to the broader community, and sometime worked in the larger community. Most impressive, they were self-governing and elected their leaders, including those responsible for the hospital and school offered by the beguinage, for finances of the beguinage, and for discipline within the beguinage – all for three year terms. All women who had belonged to the beguinage for ten years were allowed to vote. Some of the interesting stories included how the women, having financed local businesses, became the owners of bakeries and other facilities if the owners failed. At the height of the beguinage movement, in the 17th century, there were more than 300 beguines in the Leuven Grand Beguinage. One of the many interesting discussions was about how the beguinages had survived for more than 700 years in spite of the almost continuous political chaos in the Netherlands area of Europe. It appears the beguines were superior at building alliances with others in the community. Although beguines were sometimes considered heretics by the church, alliances with Popes were often critical. They even managed to survive when most religious properties were seized following Napoleon’s conquering of the area. However, by the 1960s the Leuven Grand Beguinage had only a few elderly beguines and was in serious disrepair; it either would be torn down for new development or restored. Fortunately, it was purchased and restored by the University of Leuven and is now used for housing for selected students, faculty, visiting professors and researchers. The Leuven Grand Beguinage is now under the protection of UNESCO. We had the opportunity to be feted by the Faculty Club, now a fine restaurant and conference facility operating in the old hospital building. Our time at the Faculty Club provided the opportunity to see how these beautiful old building can be restored to be very modern inside while retaining the old character on the exterior. We spent many hours walking on cobblestones (many were not dressed for this), but all seemed to agree this was a not to be missed opportunity to learn of some impressive women leaders; even more wonderful than had been promised in the preconference brochures. I now realize I didn't explicitly link this blog to being an SPL. The leaders of the Beguinage were certainly leadership practitioners. Our discussion following the tour was led by a scholar focused on the history of the Beguines and their leadership practices. 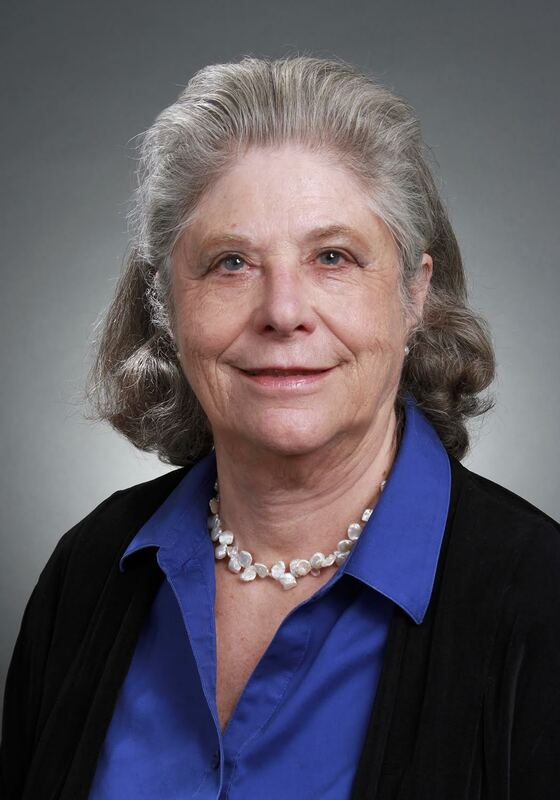 As noted in the blog, we had a wonderful discussion of how the women's strategic use of alliances allowed them to flourish for so many centuries and we also devoted time to a discussion of what we might learn from the Beguines approaches to leadership. Both the focus on the Beguines of the past and the Transatlantic Dialogue regarding the future demonstrate the opportunities for and importance of SPLs.